During the War of 1812, a British diversionary fleet squadron came up the Potomac and destroyed Fort Washington (called Fort Warburton at the time) before sacking and setting fire to Washington, D.C. Not only is this event notable for being the only time in the Nation’s history that a foreign expeditionary force has occupied the Capital, but what is perhaps more astounding is that the British fleet was able to successfully navigate the Potomac River. As river enthusiasts know, the Potomac is notorious for its shoals, shallows, and serpentine channel. Navigating the Potomac from the cockpit of a kayak or canoe is far more straightforward than piloting a large vessel upriver. When you put in at Fort Washington Marina, you can paddle out to see the imposing walls of Fort Washington and look downriver to imagine a squadron of warships making their way up the Potomac. Then duck into Piscataway Creek and enjoy the natural scenery of a protected shoreline. 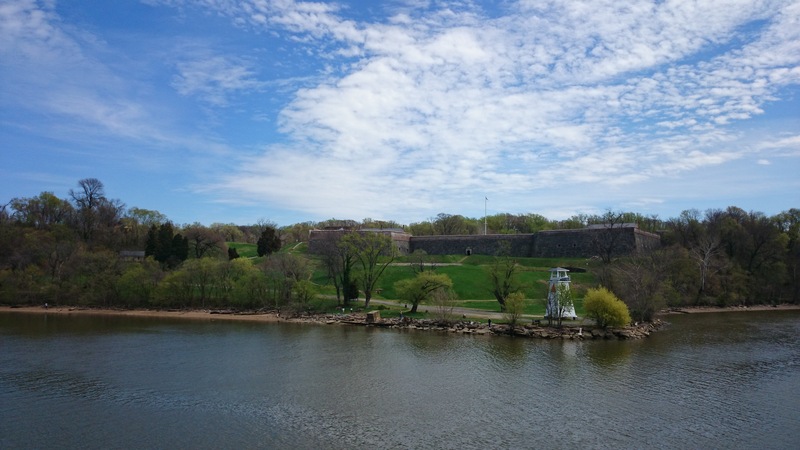 While you’re in the area, pay a visit to Fort Washington Park to compare the view when standing on the fort’s bulwarks.